Don Parker co-founded Shotgun Software in 2006 with a vision of developing a standardized production management and review system that would enable creative companies to manage projects across global locations more efficiently. Today more than 1,600 animation, visual effects, and games studios have adopted Shotgun and contribute to its ongoing development. 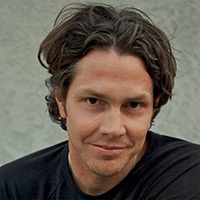 In June of 2014 Shotgun Software was acquired by Autodesk, and Parker currently oversees a global team on Shotgun development. Before founding Shotgun, Parker was a Pipeline Designer and Producer for a Walt Disney Pictures production company and worked as production and marketing leads at creative companies including Mekanism, Complete Pandemonium, Unicast and TBWA\Chiat\Day.